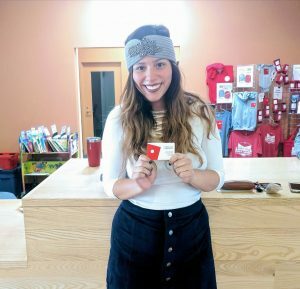 If you don't already have a card, what are you waiting for? Go take care of that. We'll wait. If you're reading this, you're already in the library's orbit and probably already have a library card. Good job! But do your friends and neighbors have their library cards? Oh, wait ... we made one for you! 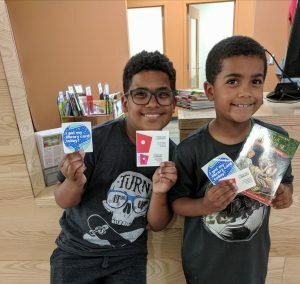 Persuade your friends to just DO the RIGHT THING and get a library card, already! 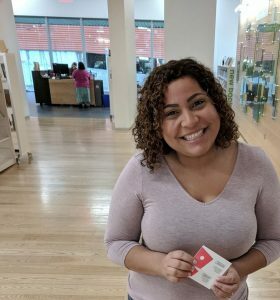 Here are 5 library card facts they probably didn't know yet. Now go forth and show others how to find their way to the library. 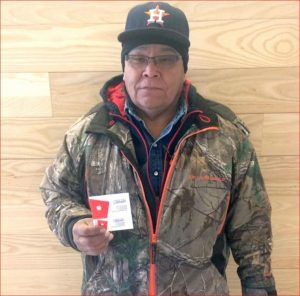 - "Mind if we take your photo with your new library card?" - "Just don't do me wrong like they did at the DMV!" People who don't frequent the library may be under the impression that it's just a warehouse of books...and no one reads books anymore. Wrong and wrong! Movies, TV shows, documentaries, music, video games - we do our best to keep up with the latest in-demand titles. Plus, now we have board games! From classics like Monopoly and Sorry! to contemporary card games like Superfight and Unstable Unicorns. You can choose from over 60 board games and borrow one for up to two weeks. Perfect for family time or game night with pals. "We are so excited! Thank you! We've been waiting so long for this! Thank you so much!" Ever heard the line, "Why would I go to the library when I can just buy a book on my Kindle?" Um, actually, you could save time and money by getting those same ebooks free from the library! 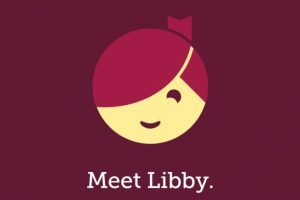 With a library card, you have access to eBook and audiobook titles through the easy to use Libby app from OverDrive. Browse a plethora of genres and topics, download up to 10 titles at a time, and keep them for 2-3 weeks. Best thing: no late fees! Oh, and there's also the Hoopla app, which has the added bonus of no wait lists for hundreds of thousands of titles. KU Applied English Classes #gotcarded yesterday! 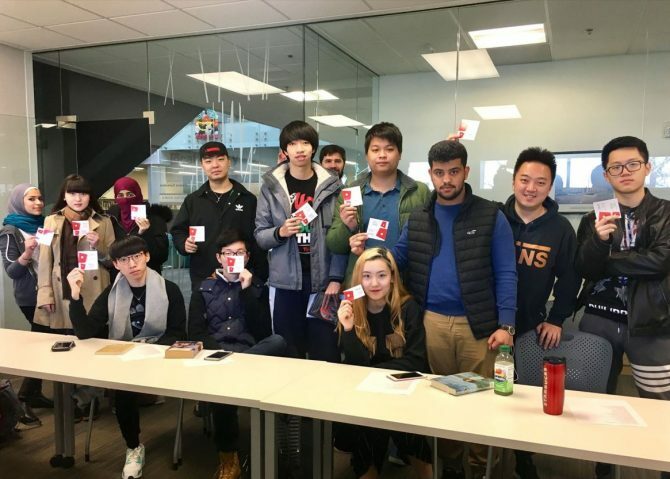 It was a pleasure hosting their first trip to the library! What's just as good as reading books? Chatting about them! The library's Book Club in a Bag service can help make starting a book club so easy. What's in the bag? 10-12 copies of a book, which takes the hassle out of getting books in the hands of your book clubbers. We have over 200 titles that are perfect for discussion. Leading a club not your jam? The Book Squad also offers several monthly clubs! "I'm here for the computers. I may need a lot of help." "We'll be happy to help you!" Need to beef up your Microsoft Office skills? Wanting to learn Photoshop? Need to know what the heck Linux is? Want to learn all the new features in Gmail? With a library card, you can learn it all at Lynda.com. All of them free, of course. "I'm so excited for this, you have no idea. It's sort of ridiculous. Thank you so much!" Hey, are you with the band? The Sound + Vision Recording Studio is fully equipped for audio and video production, and with a library card in good standing, your musically-inclined friends can book up to two 3-hour sessions a month. Mics, instruments, recording software, and a custom made modular synthesizer all included. For free. Friends not in a band? There are smaller suites that are perfect for starting a podcast, recording oral histories, editing digital photos and videos, and using tools to convert VHS, audio cassettes, and vinyl to digital.